International Plaza opened twelve years ago…!?! I feel old, since I remember shopping there when it opened (I was 14), getting a little grab-happy for anything new and different – Hollister was a short-lived novelty. Sigh. In that time, stores have come and gone, as have anchors (Lord & Taylor, Dior). Nordstrom and Neiman Marcus have been around since the beginning though – solidifying Tampa’s taste for luxury. Apparently, our Nordstrom has consistently been one of their strongest performing stores, so when money became available for a limited number of store renovations, we were top pick! The main and upstairs selling floors have both undergone a modernizing – wall and accent colors are cleaner, and there seems to be more merchandise overall. Since Saks closed this year (at Westshore Plaza), Nordstrom easily fills that void, and is smart to pick up lines that Neiman Marcus doesn’t carry. 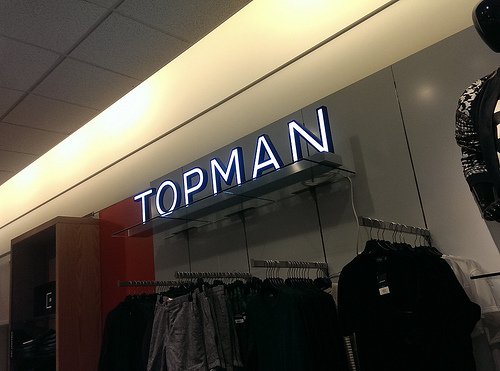 In the men’s section, the addition of Topman is a major coup. The British brand makes slim, edgy pieces that are higher-quality and more interesting than H&M, with prices that are competitive with Uniqlo and Zara. I have thus far procured a polo shirt ($20 on sale) and a pair of harem drop-crotch sweatpants ($50) that are so strange and endearing. Casual-wear used to be limited to the likes of Diesel and Lacoste, but Topman, and more of Billy Reid and Ted Baker, have made the men’s area little younger in appeal – and more fashion-forward. 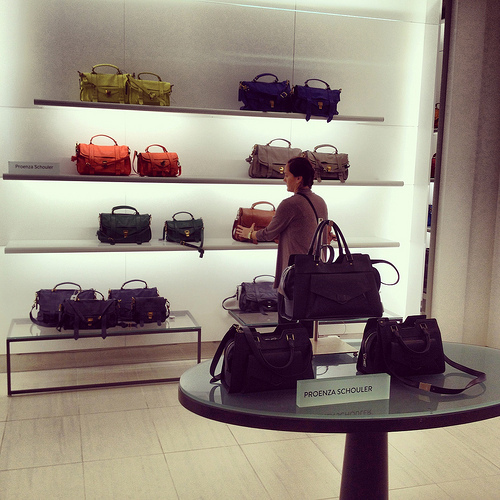 Nordstrom has always been a favorite of mine, because there are always sale sections, always a range of prices, pleasant dressing rooms, and the best return policy in the biz. Now, with this renovation, our Tampa store gets a deserved boost of modernism, and an upgrade on its wares. Can’t wait to see how retail evolves in Tampa in 2014!